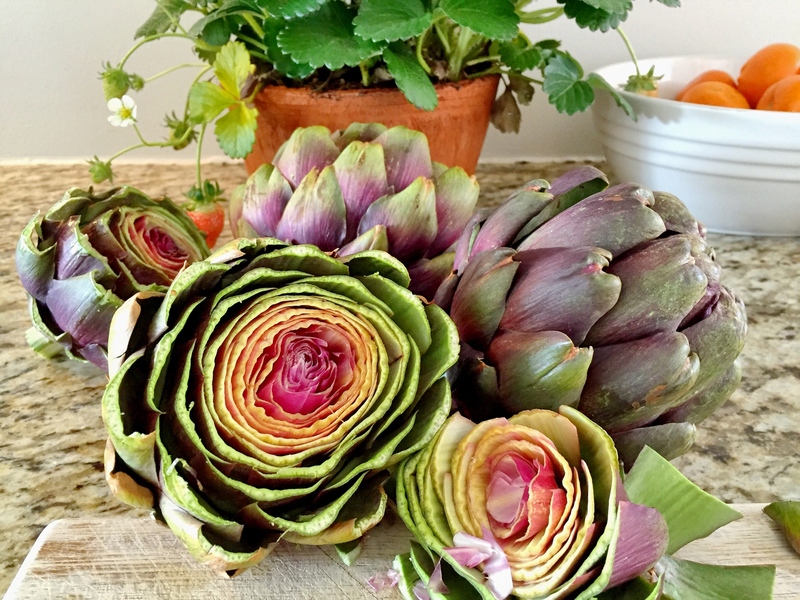 Artichokes are one of my favourite veggies on earth. The prep work makes them even more enjoyable because you feel like you really deserve them. To prep your artichokes start off by trimming an inch or so off the top and about an inch off the stem. Grab a pair of kitchen shears and trim the leaves of all spiky bits around the stem working your way up to the top. Rub the trimmed tops and stems with a cut lemon. While doing your prep, get a seriously large pot of salted boiling water. Really- it needs to be a very big pot. Cut one lemon into quarters and squeeze the lemon juice in and drop the flesh into the pot too. 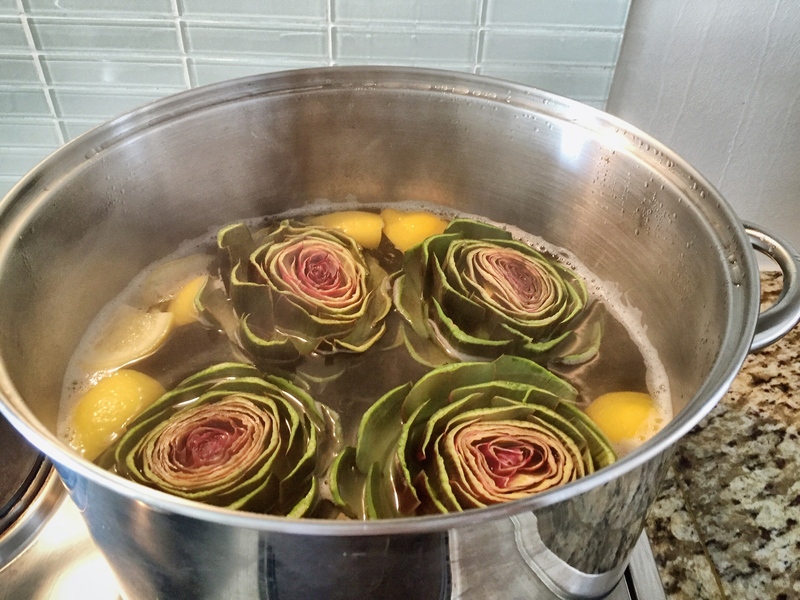 Add your artichokes to the pot and set a timer for about 30min depending on how large and young your artichokes are. 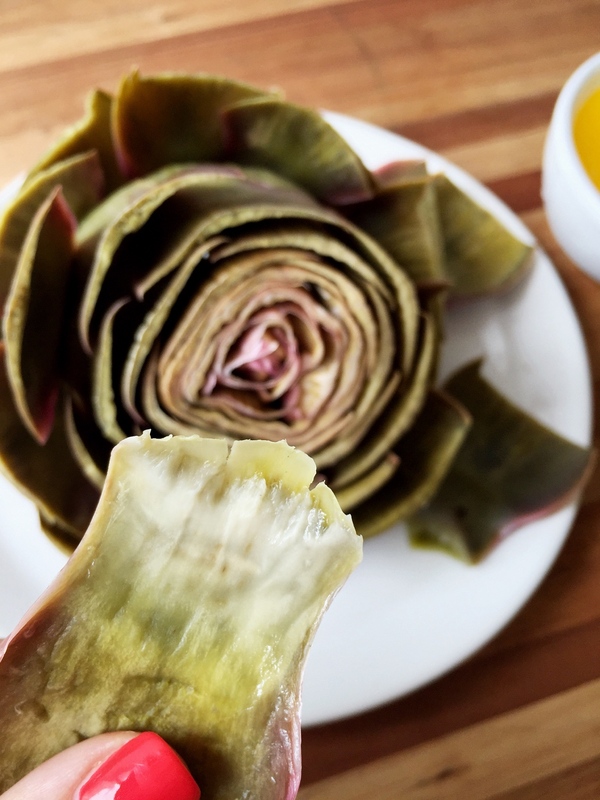 When your artichokes are done you should be able to insert a knife into the stem with ease and have soft tender flesh. 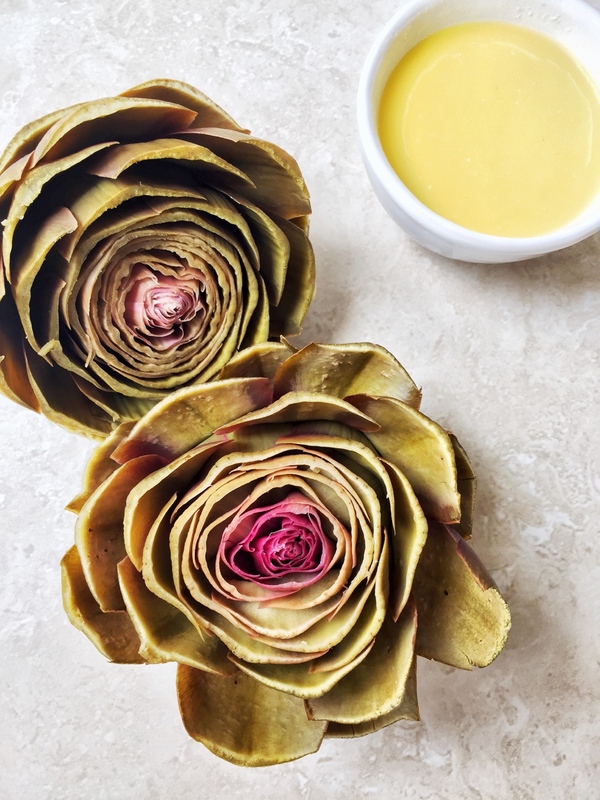 Drain your artichokes and place them upside down in a colander to drain out all of the liquid in between the leaves. Make your lemon butter. Start by juicing two lemons. There are many gadgets that are unnecessary in the kitchen, but heavens do I love a citrus juicer! Juicing lemons from Bianca Davies on Vimeo. Add the juice of 2 lemons to a sauce pan and reduce it. Add cubes of cold butter- about 110 grams and whisk until incorporated. Season well with salt and get dipping! And try reasonably hard not to eat them all before the husband gets home from work!